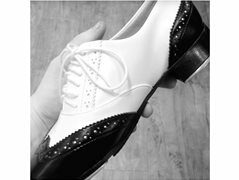 Experienced tap dance choreographer required to choreograph an advanced routine for 12 year old male dancer. Old-fashioned style (inspired by Gene Kelly and Donald O’Connor), to the song (Maple Leaf Rag by Scott Joplin). Choreographed with a broader film audience in mind, thus especially clean and musically aware for those without knowledge or appreciation of complex tap rhythms. Further details to come about auditions for the dancer, for which the chosen choreographer will teach a short combination to prospective dancers. The film will be shot around July, with regular rehearsals, including possible changes to choreography based on the dancer’s capabilities, if necessary. Experience in teaching children is an advantage, as is an interest in old Hollywood musical tap dance (the favourite film of the character performing the routine in Singin in the Rain). The routine is of psychological significance to the character as a moment of joy and freedom, and so those qualities in movement will be central.